Enter the galleries of all my pictures of flowers on this page … they’re just below. 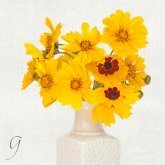 Click on the flower you want. Start with your favourite or start at the beginning. Some images were taken several years ago, many when I was studying photography. I’ve been through a few phases defining my style and finding out what I truly love to photograph. 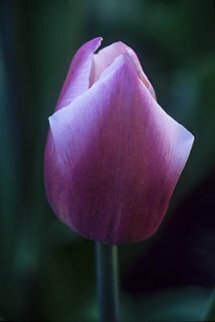 Some of my most beautiful images (still, to this day) were taken while I was in photography school in the stunning gardens that Vancouver and Vancouver Island are famous for. You wouldn't believe how introverted I was as a child! I felt horribly uncomfortable around people so I spent a lot of time alone... especially out in nature. Even by the time I went to photography school, crowds could still make me squirm. 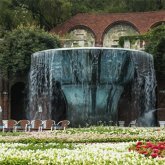 Wedding and street photography were definitely not my thing., but nature, flowers and gardens and, of course, travel were perfect. I admired other photography students who thrived on the energy and demands of weddings but absolutely not the business for me! 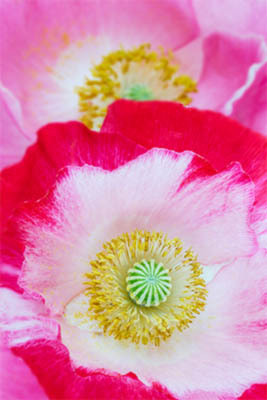 You're reading this now, so photographing flowers obviously appeals to you, too. 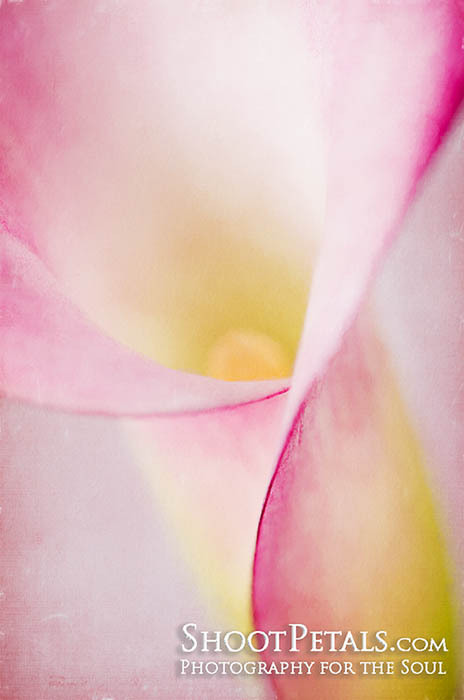 You don't have to be an introvert to love flower photography but to create excellent photographs, it's essential to have a strong connection to nature. 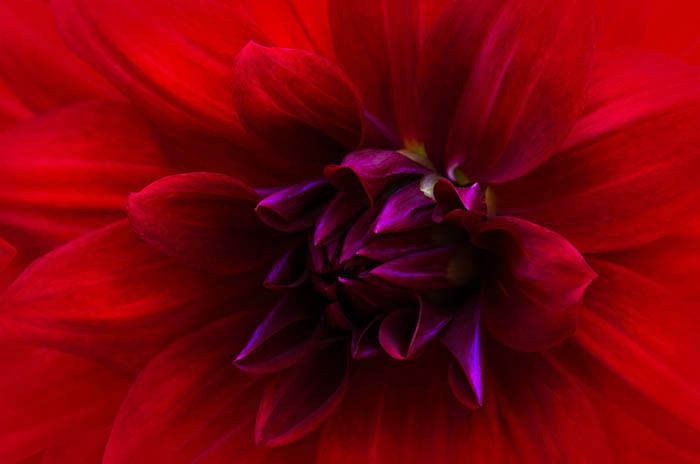 Deep red dahlia in back-lit in window light. The petals look like they're on fire! 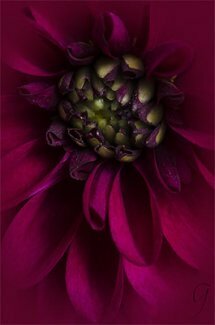 I love photographing dahlias, especially the very dark colours. The light falling on these dark red petals is what makes this image so beautiful. I did very little to this photo in Photoshop. I shoot RAW to get the most information possible in each file to work with in a photo editor. When you buy your camera, it most likely will come with a basic photo editing program. If you're artistic, get one that's more advanced! Adobe has a great Photographer's package of Photoshop and Lightroom CC for under $10 a month. How can you lose? That's the package I have... but I'm thinking of jumping to the whole enchilada. There are a couple of other programs I'd like to work with. DAHLIAS - You're in control of your own destiny. 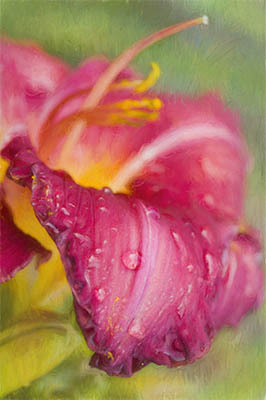 DAYLILIES - The fleeting nature of the flower. 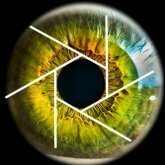 IRISES - Royalty, hope, light and power. 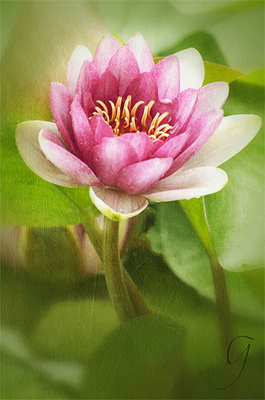 LOTUSES - symbols of enlightenment. 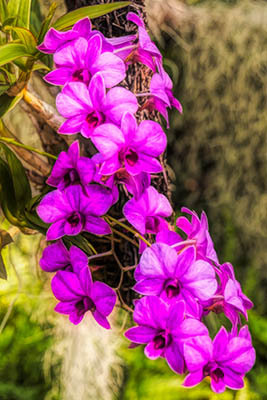 ORCHIDS - Exotic flowers of magnificence. POPPIES - The flower of sleep and wishes come true. 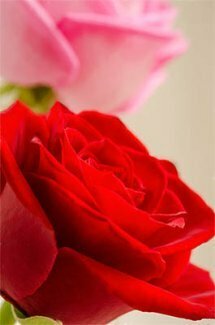 ROSES - The flowers of love and romance. 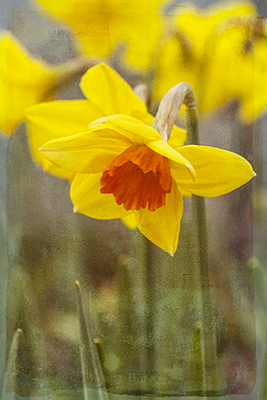 SPRING BULBS - Welcome spring with a warm heart. 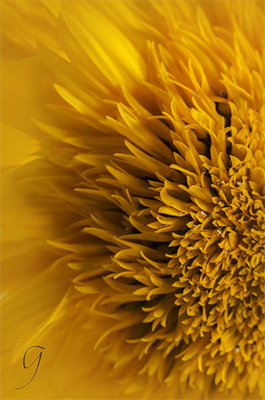 SUNFLOWERS - The flowers of happiness and sunshine. TULIPS - A declaration of love in a kaleidoscope of colours. 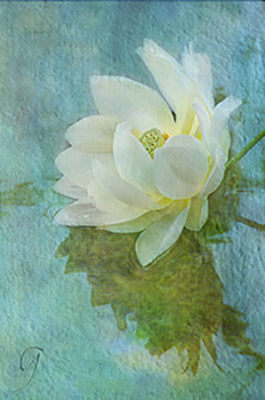 WATERLILIES - Peace and self reflection. The more basic photography skills you learn, the more you'll begin to see that your pictures of flowers start to show similarities.... that's your 'style' evolving. 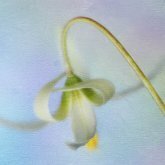 I developed a style in my flower photographs quickly when I was in photography school and it hasn't changed very much over the years. Actually, I didn't notice it until a couple of instructors pointed it out. So that's a style in the photography and then, if you're a creative soul, you'll add more to it in the way of artistic expression. Be open minded about artistic styles of photo editing and learn some editing skills in a few different programs. Don't let anyone squelch your creative ambitions by convincing you that photographs should only reflect the scene as it really was. The scene is whatever you want it to be! You're the photographer and artist. Make your pictures of flowers into works of art if that's how you see it. You'll see many of my photos with a painterly technique that makes them unique. Once you hit on your own style of photographing and editing, people will look at your photos and know you created them. Yeah, it's not only okay to pat yourself on the back when someone says "Wow, I knew right away it was your photo." ... it's encouraged. Share your photos of flowers and get some feedback. Look into some online photo services like Flickr or Shutterfly. If you subscribe to the Adobe Photographers' plan, you belong to Behance, a group where you can share and get feedback from fellow photographers. There are so many online photo sharing services... Google them and find out which ones suit you best. And, there's always social media like Facebook, Pinterest or Instagram. Don't keep your photos all to yourself. 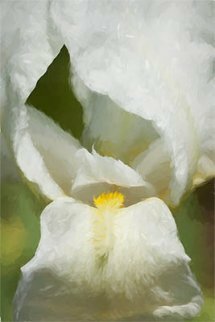 Develop a thick skin and share your pictures of flowers with photographers who've been out there much longer than you have. Ask for a critique. That way, you'll learn how to take even better photos. Don't take their advice personally... it's all a learning experience and most photographers love to help beginners! If you liked this page, how about these?